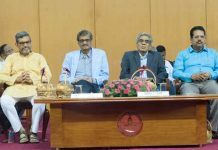 New Delhi: The Prime Minister, Shri Narendra Modi, today, conferred the Shanti Swarup Bhatnagar prizes for 2016, 2017 and 2018, at an event in Vigyan Bhawan, New Delhi. 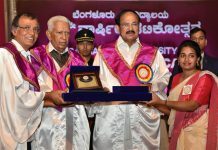 Congratulating the award winners, the Prime Minister said that science, technology and innovation should be connected with the aspirations and requirements of the society. He said that our scientific institutions should align with future requirements and try to find solutions for local problems. The Prime Minister emphasized on the need for R&D in the new and emerging fields like Big Data, Machine Learning, Block Chain and Artificial Intelligence. He added that the National Mission on Inter Disciplinary Cyber Physical Systems will improve research and development in these fields. He asked the scientific community to take advantage of the Fourth Industrial Revolution and develop technologies that will make India a global hub for manufacturing, knowledge and technology based industries. The Prime Minister hailed the world class achievements of the scientific community while working with limited resources. 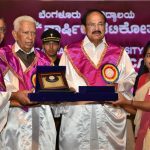 In this context, he mentioned about India’s hugely successful space programs of ISRO, exceptional growth of Indian pharmaceutical sector and various CSIR initiatives. Talking about the need to think beyond silos, Prime Minister said that scientists and researchers should have an inter-disciplinary approach. Such an approach will help in finding faster and better solutions for the various scientific questions, PM said. The Prime Minister said that the Union Government policies aim at takingadvantage of demography, democracy and demand in the country. He also mentioned about the various Government initiatives to foster innovation and strengthen the Science and Technology space in India. 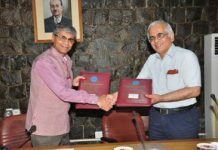 The Shanti Swarup Bhatnagar Prize, named after the founder Director of the Council of Scientific & Industrial Research, Dr Shanti Swarup Bhatnagar, is given annually to recognize outstanding Indian work in various disciplines of Science and Technology.